Cloud Computing has become a conditioning factor for growing businesses since its emergence in the business world. A revision of funds and investing in this more cost-effective and productive solution provides a clear focus on the market and the ability to address very particular entities in record time. Almost 40% of SME in Australia use paid cloud service, according to the Australian Bureau of Statistics report from June 2014. However, the statistic of the highest reported increase in productivity is putting SMB, with up to four employees, on the map in the leading position with 51% of Small Business reporting improvement in this segment. As an obvious first choice, a reliable and affordable model from Google and the usage of Apps for Work is the most common option for many, with 5 million businesses using Google for Work in 2014 on a global scale. A London youth support organization Epic saved £67,000 last year with Google Apps for Work, and an estimated figure for this year is exceeding the astonishing amount of £140,000 saved in this 150 people company. The Epic’s Director of Communications, Jamie Holiland, stated that with Apps for Work, Epic is not just saving on resources in monetary terms, but also through ability to concentrate work better, advanced forms of communications and overall productivity. With the implementation of the BYOD (bring your own device) policy, and constant access available to you and your employees, plus counting on the fact that you will significantly decrease your IT expenses, leading a small business has never been done easier. Apps for Work will help you and your workers to connect, organize and systematize. At this point, there are more than 900 million users of Google mail, counting both private and business users. With a business model, you are able to obtain a domain address of your business, a basic package that includes 30GB of storage space, and a 24/7 hour support. Google’s No Ecosystem is an Island policy is the main reason why most businesses decide to turn to this provider in particular. 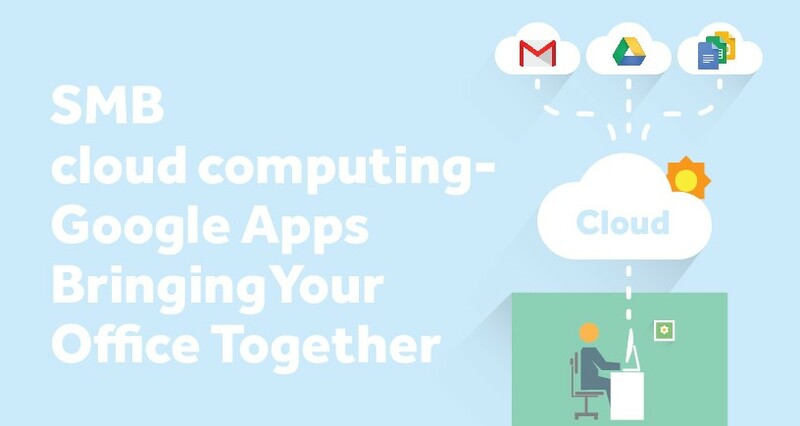 76% of Google Apps are universal, which means that they are compatible with every operating system available, and Google for Work Apps especially are attuned with Apple, Microsoft, and Linux. In that order, Gmail is well adjusted to desktop clients like Apple mail, Microsoft Outlook, Mozilla Thunderbird and others. The collaborative structure of communication is connecting the employees together, and it is far more than just a regular e-mail service. You can access your email from anywhere, and from any device, at any time, even when you are offline. Gmail allows you to type your responses and organize your correspondence but waits to upload the changes until you connect to the web. It also allows you to prioritize your e-mails through a user-friendly interface and filter all messages connecting them to a particular client, company, product, or any category that you may choose. Keeping all data safe, organized and accessible at all time is imperative for the future development of any company, no matter the industry. With unlimited space available, one company can upload terabytes of files, keep them safe in the cloud, and examine them, access or download them without any additional software needed. With its advanced audit option, Drive saves all vital information of access and possible changes. A summary of an event, details about the user who made the change, including the IP address, with exact time and date when the change was made – everything is transparent and available for administrative review. The unique approach to cyber security and prevention is just one of the reasons why employees love using Google Drive. If a worker would misplace his device, a tablet or a phone, the workplace admin can simply delete all files accessible from this endangered device. This is why many companies chose Google for Work when implementing BYOD policy. As of recently, Drive also comes with a Microsoft Office plug-in, and employees can upload, modify, and store their Word, Excel, and PowerPoint files. Needless to say that once the file is created within the Google Drive App, it cannot be lost, no matter what happens to a device, or a mistake. Unless purposely. Google Docs is a combination of multiple apps for work. It includes Docs, Sheets, Slides and Forms. In general, Google Docs offers everything that Microsoft Office does, but the quality of software, plus more than a couple of additional options, make these apps a favorable choice for both private and professional usage. From recently, Google Docs also supports a voice dictation option, which puts them in an opportune spot to say at least. Microsoft has tried adding voice recognition system a couple of times before with no success, and if the Google Docs proves that this system is reliable, it will just seal this ongoing feature war for good. In an office, you cannot find a more useful component than the Docs, from the Apps for Work set. It provides real-time co-editing, and no matter where you or your co-workers are, you can access the same file and communicate through it online. There is no need for any form of physical transfer (i.e. flash drive), and with this option you are avoiding all the additional troubles of sharing files on different devices. Simply share a link, and through internet connection every file is accessible and formatted according to your preferences. If your client, or anyone else, demands a word or a pdf file, Docs will convert the file with no problem. With Google Apps for Work, you are not just gaining helpful software that will benefit your company and your employees, but you are building an office in the clouds. With this solution, you will cut down costs on IT department, manage time better, address important tasks quicker and increase productivity in your workplace.